An internationally renowned expert on the law and economics of the marine and maritime domain has been appointed as Head of the new Plymouth Business School (PBS). 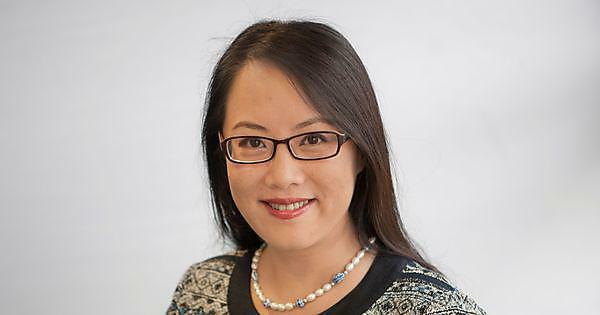 Professor Jingjing Xu was chosen following an extensive external and internal recruitment campaign and will take forward the new PBS, which brings together the existing Plymouth Business School, with the Graduate School of Management and the School of Tourism and Hospitality. Professor Xu joined the University in 2007, and has held a number of senior roles, including Associate Dean for Research in the Faculty of Business, and Director of the Institute for Social, Policy and Enterprise Research (iSPER). An elected Fellow of the Royal Institute of Navigation and a Fellow of the Higher Education Academy, Professor Xu was appointed Interim Head of School in 2017 and oversaw the transition to the new structure, which included the harmonisation of a number of processes and systems. "I am delighted to be appointed as the Head of Plymouth Business School. I see great potential in this new structure and I am excited to have the opportunity to continue working with my colleagues to build a truly research-led, student-focused and people-oriented Business School." Professor Xu is a member of several law associations, including the British Maritime Law Association, and is also a Visiting Professor at renowned universities in China, Sweden and Australia. The author of a number of publications and research papers, Professor Xu has a particular interest in the law and policy issues pertaining to marine pollution, maritime safety and security, and marine renewable energy development.